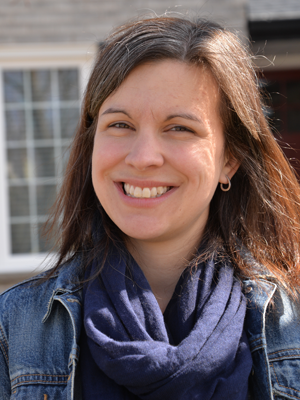 There is a challenge going on over at The Memory Nest that I am very excited to participate in. A Color and Sketch Challenge. Double the challenge, double the fun, right? Here is the layout that I created. 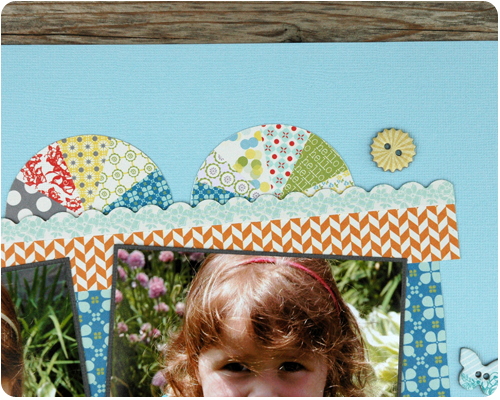 The paper I used for this layout is from Lily Bee Design. I was very excited when I found it at the store because it fit the colors of this challenge and it coordinated with my photos. I do think it was meant to be. I cut these circular pinwheels from one of my patterned papers and tucked them in along the top of my page just like the sketch. But because I used two photos rather than one, I needed to shift the position of my journalling and title from what was shown on the sketch. No big deal though, sketches are a great source of inspiration and don't need to be followed exactly. I want to say thank you to my husband for taking these fantastic photos of our girls in their matching summer dresses. I just love when they are dressed the same and I am going to do that as long as I possibly can, complete with a photo shoot each time. It is just too precious not to document - minimum 100 photos required. Be sure to stop by The Memory Nest to see what the Chickadees Summer Design Team has created for this challenge. Inspiration guaranteed. Cute, cute! 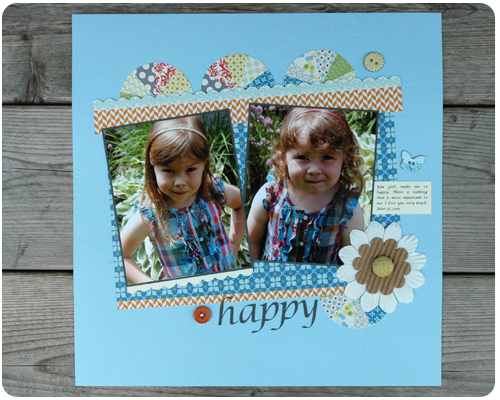 Love your photos and love the fun pinwheels for your circles! Darling!! Thank you so much for your sweet comment Sally. beautiful layout, love the patchwork decoration dotted about the page. Love the pinwheels. And those little girls make the page wonderful!! Thanks Leslie....I was drawn to this paper when I saw the pinwheels. You did a wonderful job with your layout. 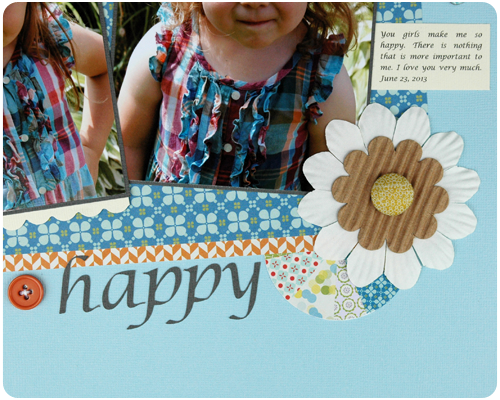 You make the best layouts!